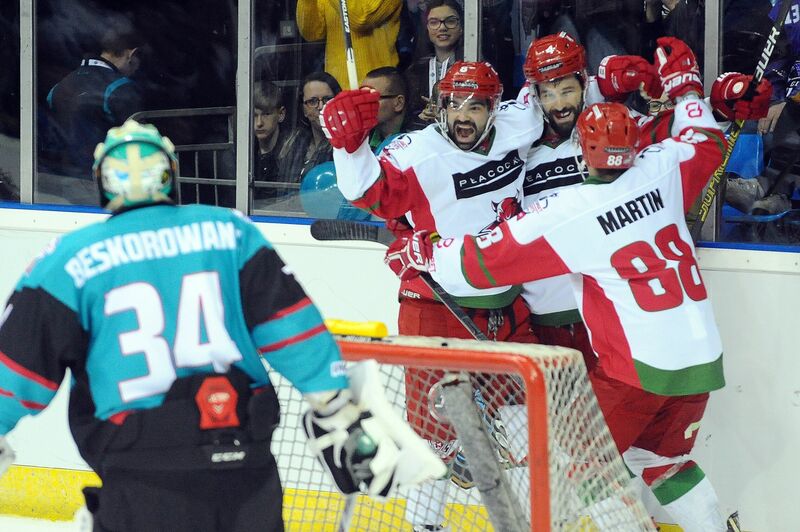 To a certain extent, the Belfast Giants came into the 2018/19 Playoff Final with little to prove. Their trophy haul so far this season has included a second successive Challenge Cup, the Erhardt Conference Trophy and the Elite League Championship. But as Adam Keefe’s men took to the ice one final time, in front of a capacity Motorpoint Arena in Nottingham, featuring a number of exiting and retiring players- not least Colin Shields- the tantalising prospect of the organisation’s first domestic grand slam in its 20 year history made it almost too much to bear for the assembled Teal Army. Belfast came out of the traps with intent- putting two solid chances on Ben Bowns within the first minute, with Darcy Murphy even glancing the post as the puck leaked under the Devils goalie. Darcy Murphy found himself alone in the Devils zone moments later, connecting with a sublime Blair Riley pass. Forced onto the backhand, Ben Bowns was a match for it with a quality pad save. The Giants were the first onto the power play, as Drew Schiestel sat for interference in the fifth minute of the period. Consistent Giants pressure was the story of the game so far, but the PP unit couldn’t find a way through as time expired. Darcy Murphy was hit hard by Drew Schiestel on the ten minute mark, the questionable point of contact sending the Giants star forward to the ice head first. After attempting to get back to his feet, Murphy fell again- requiring assistance from Giants training staff to get down the tunnel. 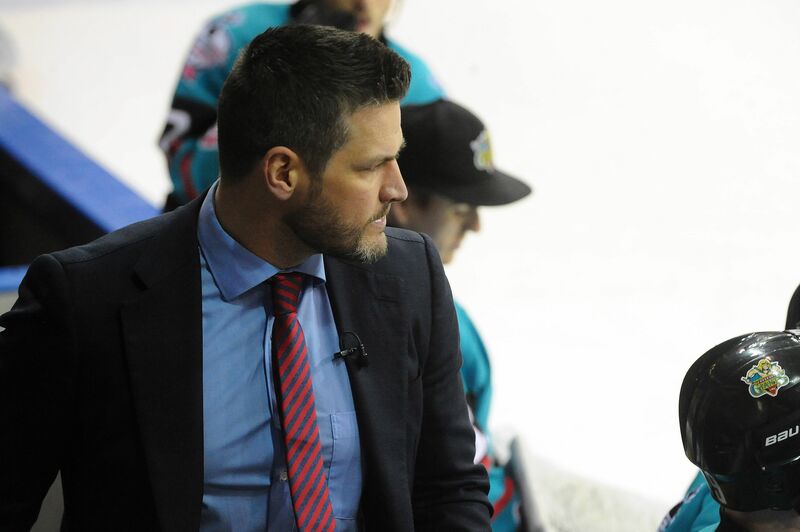 With no penalty called, and a slow whistle to stop play- an incensed Adam Keefe and Giants bench made their feelings know before play resumed. Both Jordan Smotherman and Kyle Baun headed to the box with 9.04 left in the period for interference and tripping respectively, as an already feisty encounter was cranked up a notch. A monster Giants kill returned the sides to full strength. Jim Vandermeer and James Livingston were sent to the box by referee Dean Smith with 2.37 left in the period for an exchange in front of the benches. Within seconds, that had turned into a Giants power play as Charles Linglet sat for a high stick on Blair Riley at 17.42. Darcy Murphy, who had attempted to return at the bottom of the first, did not re-emerge for the second period. Belfast had an early power play opportunity when Sean Bentivoglio sat for tripping at 20.42, but couldn’t find a way. Dustin Johner had the Giants most convincing chance of the period around six minutes in- through on goal on Ben Bowns who snapped a decent shot into his glove. A much more free flowing period unfolded, with Cardiff being arguably the more potent of the sides. Tyler Beskorowany was consistently pressured as they enjoyed plenty of time in the Belfast zone. Josh Roached pulled the trigger on a zipper of a slap shot with five left in the period, with a tantalising rebound which wasn’t picked up by a teal shirt. Colin Shields quickly followed up with one of his own- absolutely ringing the post from the right hand side of the blue line as Bowns stood motionless. Mark Louis sat for tripping at 36.56, handing the Giants a golden opportunity to re-enter the game. Ben Bowns pulled off a near impossible save mid way through the power play to deny the Giants what seemed a sure fire equaliser. 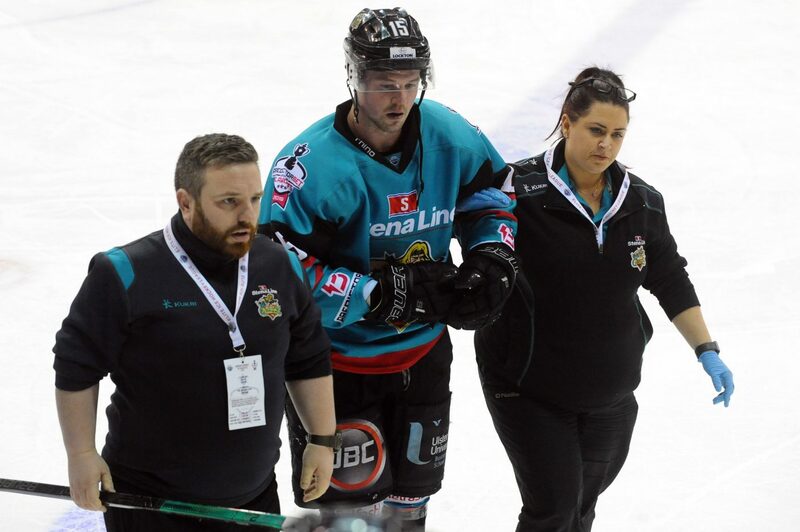 Matt Pope was to send the Belfast Giants into the locker room on the power play following an ugly hit on Patrick Dwyer and an interference call. Cardiff had another power play opportunity at 44.19 as Jim Vandermeer was called for what seemed to be a very soft tripping call, but the Giants kill unit stood tall. The clock passed the ten minute mark in the final period of the 2018/19 EIHL season with the game on a knife edge. Tyler Beskorowany headed for the bench within the final two minutes of the game and Belfast iced the extra skater. Following a heart stopping turnover, Adam Keefe called a timeout for one final roll of the dice. Despite tremendous pressure in front of Ben Bowns, the Cardiff Devils held on to salvage their season with the EIHL’s fourth and final piece of silverware.